Produced to a superb standard by a team of time-served craftsmen using a blend of modern and traditional techniques, the luxurious Fernhill collection oozes quality and is ideal both for new staircases and refurbishment projects alike. 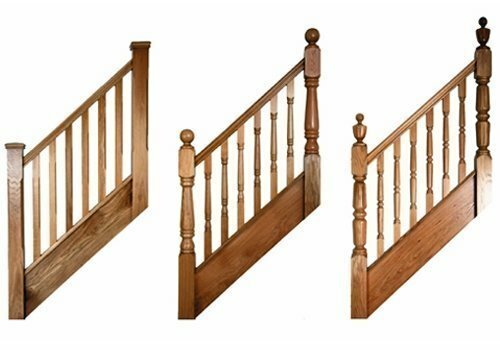 Generous 55mm spindles, perfect for creating that grand entrance hall you've always wanted, come in a wide choice of styles including Oxford, Georgian, Grecian, Colonial, Stop Ovolo, Traditional, Square and Stop Chamfer. You can choose matching newels posts for most designs too, along with a variety of stylish newel caps. Handrails are available to suit both post-to-post and continuous, over-the-post configurations. A real bonus of the Fernhill collection is that all parts are interchangeable, so you can mix and match different styles to achieve your perfect staircase. What’s more, you can choose from six different timbers: hemlock, pine, southern yellow pine, sapele, American white oak and American white ash. Have a look through our Fernhill section to find out more.